For more than fifteen years, Fitness4x4 Ltd has been professionally training and certifying instructors in the original Hour of Power® (HOP®) workout & Fitness4x4® training method, offering Industry Recognised training and specialist CPD fitness education to candidates of all ages and fitness backgrounds. To read more about Course Content & Schedule CLICK HERE. *Please note: All licenses include rights to PPL/PRS Royalty Free HOP® Music Soundtracks, Instructor-Only Web Portal including Daily Guidance, Free Marketing Materials, Media & Business Support, full access to Hour of Power®/HOP® Trademark & Fitness4x4® Copyright Protected Formats. 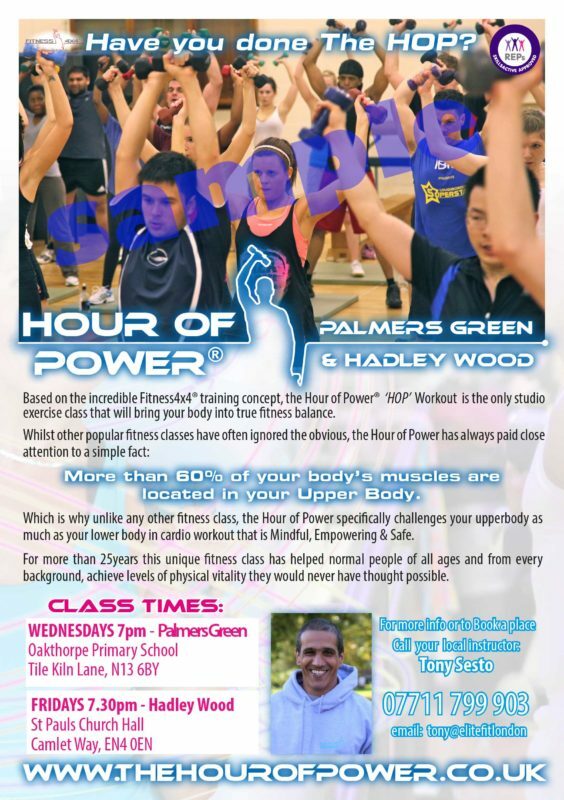 The original Hour of Power® Masterclass (with optional seminar & workshop) led by Fitness4x4 co-founder Rajko Radovic: endurance World Record Holder, BBC & Discovery Channel’s Last Man Standing and current National Director for Fitness4x4® and the Hour of Power® Workout. For More Masterclass Info & Reviews CLICK HERE. The official music of the Hour of Power® Workout produced in collaboration with Sunosis Music, professionally mixed and mastered to the highest quality studio sound and tailored to every second, every movement and every nuance of your Hour of Power® workout. Please visit the official HOP® Instructor Store for our full catalogue of Instructor Clothing and Merchandise. PLEASE NOTE: Any person who, without the prior written consent of Fitness4x4 Ltd, uses the intellectual property of Fitness4x4 Ltd (including its trade marks Fitness4x4®, Hour of Power®, The HOP® Series, or any of its copyrighted music) or found to be offering fitness services substantially similar to those associated with those trademarked brands and formats, will be deemed to have consented to the full terms and conditions of the published Fitness4x4® Instructor License Agreement and to the payment of all applicable fees thereunder. (View Fitness4x4® Full License Agreement Here).